Welcome to the very first Stampin’ Dreams Blog Hop! I’m excited to be a part of it, and I hope you enjoy the fabulous inspiration from all around the world. You are currently visiting Gail Davidson from Australia. We are showcasing retiring products from the 2016-2017 Annual Catalogue and 2017 Occasions Catalogue. So sit back, grab a cuppa and enjoy the hop! I’m paying homage to one of my favourite sets from the Annual Catalogue – Grateful Bunch. It’s currently on the retiring list and available at 20% off so grab it now! My card also highlights some other products due to retire on 31 May. We’ll be saying goodbye to the 2015-2017 In Colours. I’ve used Watermelon Wonder cardstock for my card base, and also the ink for sponging on the card base and flower. 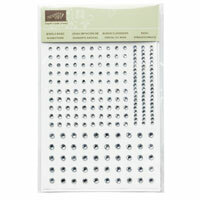 The large rhinestones I’ve used for the flower centre are also retiring. I hope my project has inspired you. To continue on the hop and see all our projects, select the next person on the list below. You don’t want to miss any! 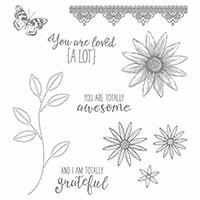 2016-2017 Annual Catalogue, Grateful Bunch Stamp Set, Stampin' Up!